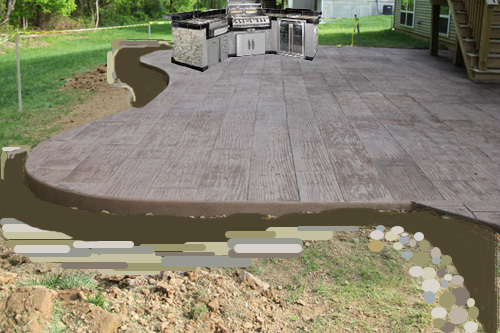 We finally pulled the trigger and ordered a build your own outdoor kitchen kit. That picture is one I Photoshopped for our “planning it out” post 2 years ago. It shipped today and we may be certifiably insane. But it should be fun, right? RIGHT?? Gahh!! So jealous! We have our own version of an outdoor kitchen (http://www.alittlebiteofeverything.com/2012/06/outdoor-kitchen-project-finished/) but we’re not allowed a grill so yours looks veery appealing. Can’t wait to see it! That will be so freaking awesome! I wish we had the space outside for an outdoor kitchen! awesome! Please share about it when you get it! I have heard of those before but never anyone’s realll experience! also a first birthday already??? NO WAY! I can’t wait to see the finished product! Good Luck. I am hoping it will be fun so I can convince my husband to do the same!! This is going to be awesome! Can’t wait to see it come together.